You have made that exciting step to venture in to buying a new property. The REA Sales Team understand this is an extremely important time for you and thus we will assist in finding you exactly what you are looking for. Our experts will not just help you find the right property but also guide you the through the different stages of what is required for completing the purchase. Please find our step-by-step guide buying guide below which exhibits the various stages of the buying journey; as always the REA team will be here to support you the whole way! This is an extremely important process as it will allow you to confirm how much money you will have to fund the purchase of your prospective property. Feel free to consult with our team and we may be able to recommend suitable mortgage brokers. There are a number of ways to register with us, click here , call us on 0118 958 42 42 or even feel free to visit our office to register, we will be more than happy to help. Once REA have found you your dream property, the legal process will begin. This means instructing a solicitor who can help successfully complete the purchase of your new property. 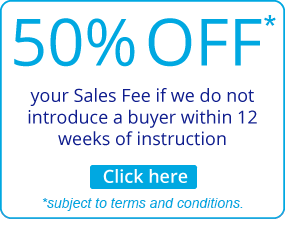 Once you have made an offer, we will put this forward to the seller both in writing and verbally. Your solicitor will raise any queries on receipt of the draft contract, will also request their own searches and finally agree a date for exchange of contracts. A survey will be booked by the mortgage company and once this has been approved, a formal mortgage offer will be sent to you and your solicitor. An exchange of contracts will take place once all enquiries have been agreed and confirmed. Once the contract is signed by both parties, the deposit will be transferred from your solicitor to the seller’s solicitor. Completion will occur once all remaining monies are transferred from your solicitor to the seller’s solicitor. You will now be the proud owner of your new home!